Dr. Whitney earned her Doctor of Chiropractic degree from Northwestern Health Sciences University in Bloomington, Minnesota. She enjoyed her experience there immensely, made lifelong friends, and has plenty of great memories. 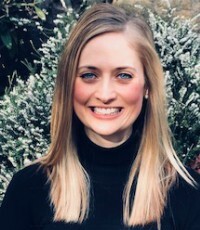 She is also certified in the Webster Technique and is a member of the Washington State Chiropractic Association and the International Chiropractic Pediatric Association. When she’s not at the practice, Dr. Whitney enjoys spending time with her fiancé and is fortunate to have extended family in the area. This North Dakota native likes to be active in the outdoors on the weekends and loves trying out new restaurants in the area. If you’d like to experience optimal health without the use of drugs or surgery, contact us today to book an appointment with Dr. Whitney! We offer Saturday hours for your convenience.